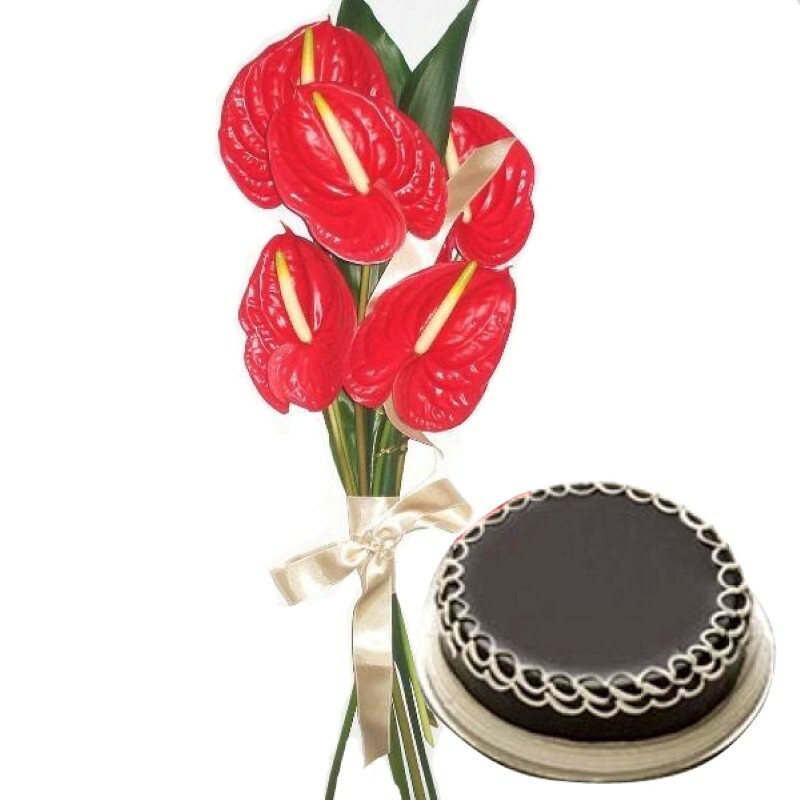 Product Consists : Bouquet of 5 Red Anthurium along with 1 Kg Chocolate Cake. 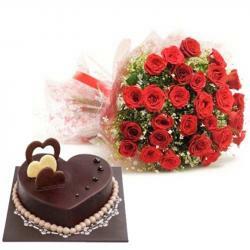 An amazing gift for someone really special to express your love will be bouquet of red anthurium. The bouquet of red anthurium is jazzed up with ribbon bow which look amazes. This Bouquet Contains 5 Stem of Red Anthurium which are beautifully expressing your love that it will be cherished forever. 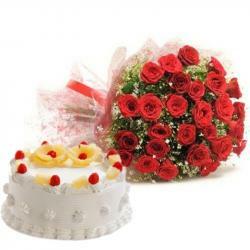 Chocolate cake is one on the best cake for valentine to surprise your love one. 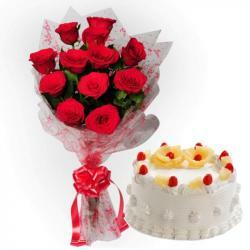 The combo has a very special touch of love which will bring you more closer and will tauten the bond. 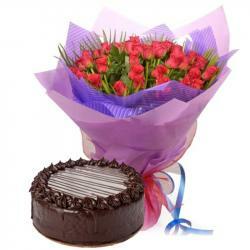 Product Includes : Bouquet of 5 Red Anthurium along with 1 Kg Chocolate Cake.